Puttukku Man Sumantha Peruman: His compassion is unconditional Mysterious are the ways of Shiva and unique are his appearances. Here is the sthala purana of Puttu Sokanathar temple in Madurai. Mysterious are the ways of Shiva and unique are his appearances. Here is the sthala purana of Puttu Sokanathar temple in Madurai. 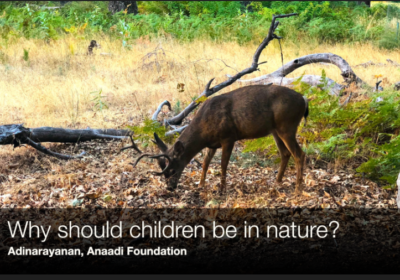 Why children should be exposed to Nature It is very important to introduce and expose children to nature. It is very important to introduce and expose children to nature. Glorious Grace of Yoga Vidya Ganapathi At the Ivarmalai Ashram premises of Anaadi Foundation, today we celebrate Vinayagar Chaturthi offering abishekam and pooja to Yoga Vidya Ganapathi for Loka Sangraha. 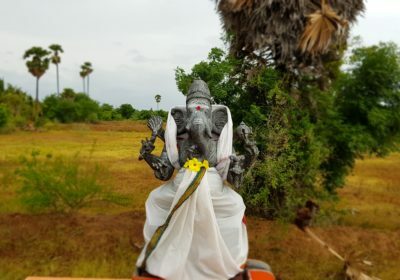 At the Ivarmalai Ashram premises of Anaadi Foundation, today we celebrate Vinayagar Chaturthi offering abishekam and pooja to Yoga Vidya Ganapathi for Loka Sangraha. 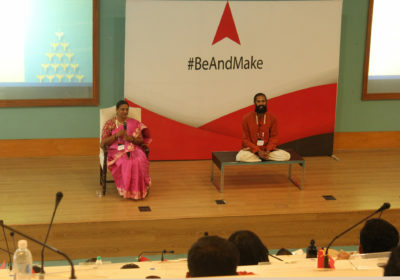 Conversations on Leadership In this talk at the Policy Bootcamp 2018, Adinarayanan and Smrithi converse with the audience on Leadership. They discuss the Indic aspects of Ardhanareeswara and Trimurti and how these principles are relevant to leadership. In this talk at the Policy Bootcamp 2018, Adinarayanan and Smrithi converse with the audience on Leadership. They discuss the Indic aspects of Ardhanareeswara and Trimurti and how these principles are relevant to leadership. 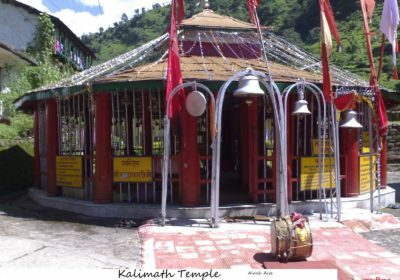 Kalimath: Going beyond the form of Devi Kalimath in the Himalayas is a unique temple where Goddess Kali is worshipped in the Sri Yantra form. Yatris visit this shrine as a part of the Anaadi Himalayan Yatra and every time the experience is unique. 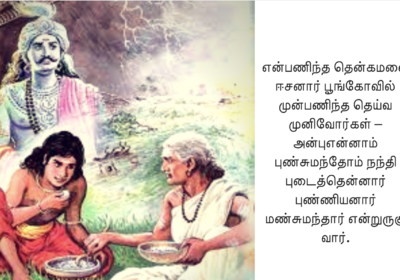 Sankaracharya and Saranaagati A revelation from Shri Subramanaya Bhujangam. One among the names in the namavali of śaṅkarācāryāṣṭōttaram is the name - "ṣaṇmatasthāpanācārya". 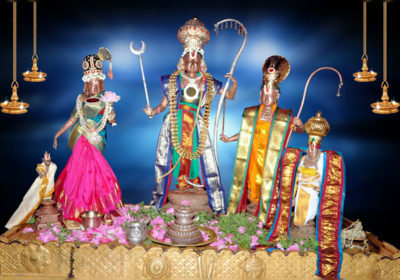 It is an attribution to Sankarachrya as the one who established six schools of worship. Such has been the immensity of his jnana that branches of schools delve deep into the intricacies of knowledge branches that stem from this great seer. 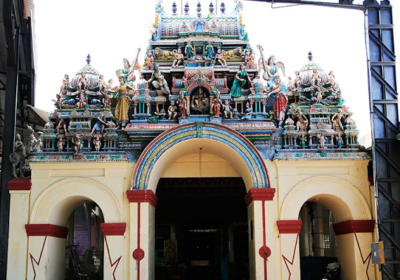 Kothandaramar Temple at Punnainallur What is so special about this temple? 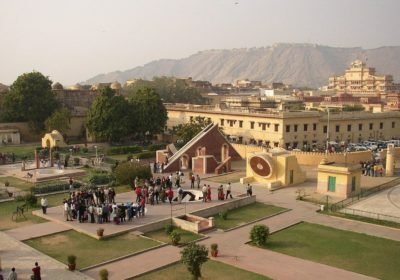 This is probably the only temple in India where Lord Rama, Lakshmana, Sita and Sugriva are made of a Saligrama. We experienced a rare sense of calm and Serenity at the Punnanallur Kothandarama Temple, a unique temple where the main murtis are made of the Saligrama.